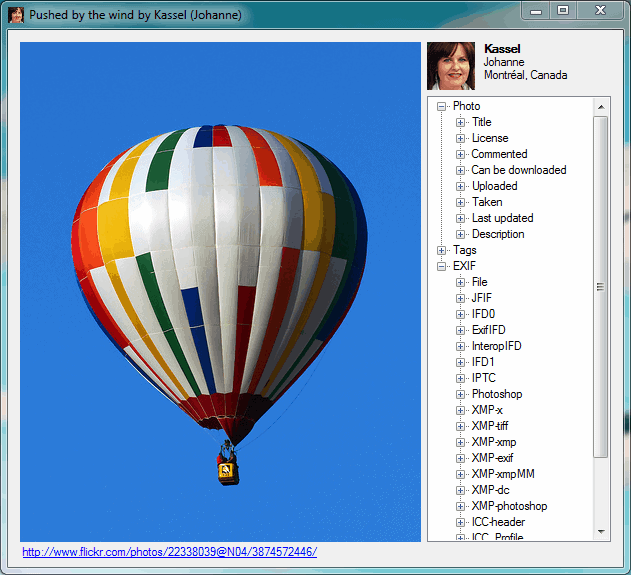 Downloadr is a free program for Microsoft Windows devices that enables you to download photos from the photo hosting site Flickr. Internet users find many different Flickr photos downloaders on the Internet if they start looking for such programs. They range from browser add-ons to software programs for various operating systems, and differ in terms of functionality and ease of use. Downloadr is a top of its class application as it provides all the functionality one would expect from a downloader. It is easy to use and can be up and running in a matter of seconds. Yet, it is also powerful enough as it offers advanced functionality that many other programs of its kind don't offer. It supports authentication when needed but can also be run by users who do not have a Flickr account. A search can be conducted by entering tags, a username, fulltext or places with additional filters like dates or creative common photos available. 50 Flickr photos are displayed per page by default which can be changed in the options. All it takes to download the photos is to select some or all that are displayed, and hit the download selected button afterwards. Downloadr will always download the largest available photo size from Flickr. Photos can be previewed in a larger size in the application. Information about the photographer, tags, exif data and photo are retrieved and displayed in the preview window as well. 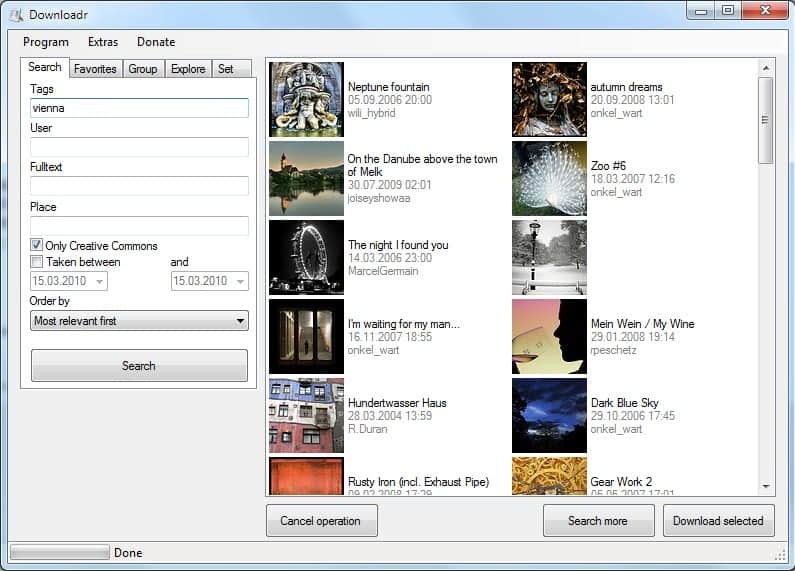 A right-click on any search result displays various additional options including related tags that can be searched for, loading the photo page on Flickr or searching for additional photos taken by the user who took the photo. Authentication is required before private photos can be downloaded. A handy backup option is provided to backup all photos in just a few clicks. Exif and IPTC data is automatically written so that the information are preserved in the photo downloads. The developer of the Flickr photo downloader has created a screencast that demonstrates the functionality. Downloadr is compatible with most Microsoft Windows operating systems including 64-bit editions. It requires the Microsoft .net Framework 3.5. Update: Downloadr is no longer available. You may try an alternative such as Bulk Image Downloader instead which is still actively maintained and comes with similar functionality. Note that the program is commercial. thank you .its cool. why i cant download this application. the link is destroy?? ?